The Royal Armouries has three museums across the United Kingdom. They also care for one of the most important national collections of arms and armour in the world. The White Tower in the Tower of London displays and houses their collections in their historical home. Additionally they have a purpose-built Royal Armouries Museum in Leeds and at Fort Nelson near Fareham, Hampshire. With collections this important we were honoured the Royal Armouries selected to Gooii to build their new culture and heritage website design. 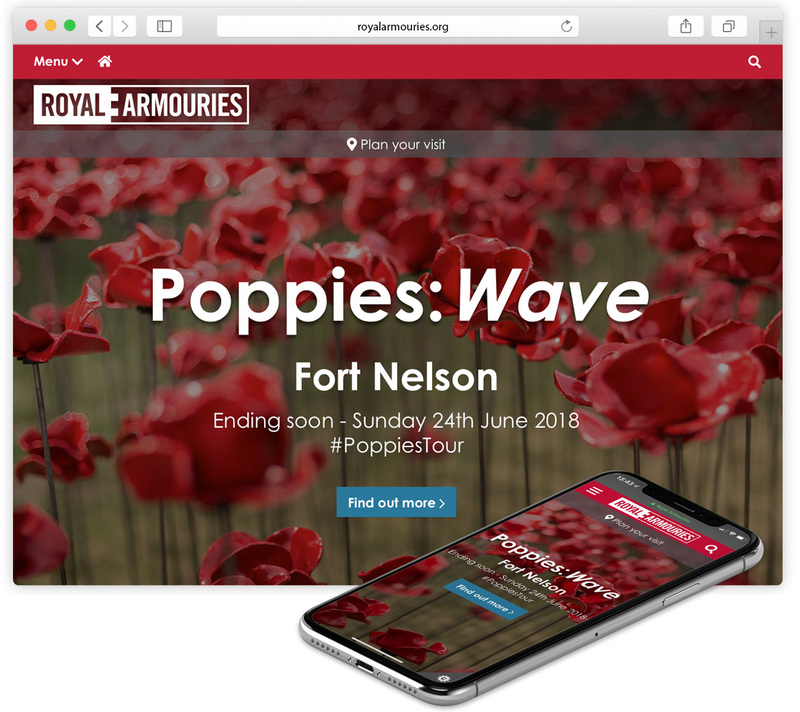 The Royal Armouries required a website fitting for their great history but also focused on modern web users and devices. Utilising a mobile first approach, Gooii designed and coded the site entirely in-house. Features include a full content management system, events planner and ticket purchasing system, blog, advanced search filtering and seamless integration with the Gooii developed Collections Online. Furthermore, independent experts have also rated the site highly for accessibility standards. Key to the design are the beautiful images from the Royal Armouries collections. Our designers ensured these were at the forefront of the site. We also provided rapid access to content across mobile, tablet and desktop. As a result the site navigation is clear yet unintrusive, with prominent calls-to-action within the content. Designed around users, the site is the product of extensive research and client collaboration. Prior to the official launch the site also went through an extensive live beta phase. This enabled genuine real world testing, with users invited to feedback and help improve the site. Additionally, the beta launch enabled us to hit an early MVP (minimum viable product) deadline and add new features as they became available.